The west Indian state of Maharashtra, run by the Hindu nationalist Bharatiya Janata Party (BJP), caused a commotion last week when it received Federal approval to enforce a total ban on the slaughter of cattle, and to punish those found eating, or even in possession of, beef. India is a secular nation where almost half the population eats beef, though most of the majority Hindus abstain, believing that cows are sacred. Some Hindus do eat beef, as well as Dalits (16.6% of the population), Muslims (14.88%), Christians (2.3%) and Sikhs (1.9%) – although, interestingly, the ‘religion’ figures from the 2011 census still haven’t been published. Many say the numbers have increased significantly. Maharashtra is a huge state, which includes Mumbai, the economic and social powerhouse of India and home to India’s largest slum of over a million people. Mumbai draws in a huge influx of migrants from across India; Maharashtra often leads in the nation’s political, economic and social developments. So this BJP-led move has been seen as a particular blow for the country’s beleaguered Dalits, India’s so-called ‘untouchables’. ‘Dalit’ (“trampled upon” in the ancient Indian language, Sanskrit) refers, under the social hierarchy ‘caste’ system still operating there, to those in the lowest social grouping. 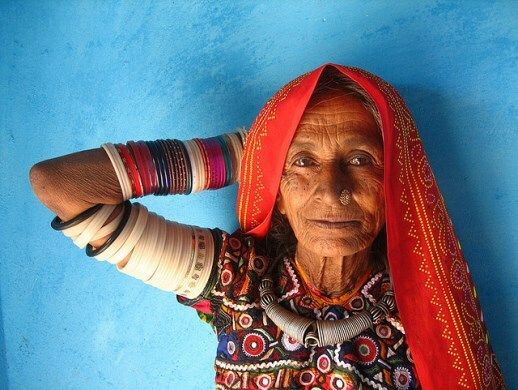 About 80% of all Christians in India are of Dalit or tribal communities, according to Operation World (2010). “This ban is an encroachment on the right of the citizens to decide what to eat and what not to. Denying [this] easily available nutritious food for the Dalits is another form of ‘untouchability’,” declared the Commission on Dalits of the National Council of Churches in India (NCCI), comprised of 30 Orthodox and Protestant churches, in a statement on March 12. The controversy erupted in February after Indian President Pranab Mukherjee formally approved amendments passed by the State Assembly to the Maharashtra Animal Preservation (Amendment) Act of 1976. While the slaughter of cows was already banned, the amendment extended the ban to bulls and bullocks. As per the amendments enacted by the state government, anyone selling beef or found in possession of it can now be jailed for five years and fined Rs 10,000 ($160) – 10 times the amount in the original Act for infringement of the less-stringent ban. Rev. Mahohar Chandra Prasad released this booklet in 2010 to protest against a beef ban in Karnataka State, then ruled by the BJP. Rev. Sunil Raj Philip, executive secretary of the NCCI Commission on Dalits, said that the total ban is a “vicious effort of the Hindutva [Hindu nationalist] forces to ‘beef up’ communal tension in India and make political gain out of it”. As Dalits protest over the ban (thousands of Dalits work in slaughter houses, tanneries and leather factories), Hindu nationalist groups have demanded the enactment of similar legislation across the nation – to enforce a complete ban on beef in India. “It will be a tool in the hands of the Hindutva, which are already reacting violently against the rights of the minorities… to hunt their ‘potential enemies’,” the NCCI cautioned. The rigid caste hierarchy forces the Dalits to work in degrading jobs such as scavenging rubbish heaps, work in slaughter houses, tanneries, leather factories and other menial jobs, and to live in segregation from the upper castes such as Brahmins. As one example of the way in which the caste system plays out in India, upper-caste parents withdrew their children from government schools in northern Uttar Pradesh state after the government appointed Dalit cooks to prepare lunch for the students – it had been a government move to try to break caste prejudice. Describing the beef ban as “a form of the creeping-in of fascism”, the NCCI called for national opposition to the ban on beef in Maharashtra state. The protests against the beef ban have gone viral on social media. The hashtag #BeefBan soared up Twitter’s trending charts, being used more than 22,000 times in 24 hours. One message, from Sonika Mehta, read: “And in other news, safer to be born a cow than a girl in India. #BeefBan”, a reference to the realisation that eating or possessing beef could result in five years of imprisonment, while the punishment for harassing a woman in the state is only two years. Concerns over the impact of the beef ban on religious minorities and the economy were raised in Parliament on March 11 by Derek O’Brien, a Catholic politician from West Bengal state. The beef ban in Maharashtra also evoked an unprecedented protest in the faraway southern state of Tamil Nadu’s High Court on March 6, with a group of lawyers holding a ‘beef-eating protest’. “Maharashtra’s cow-slaughter ban has added a communal tinge to the issue, besides giving rise to apprehension that it would deny affordable non-vegetarian food to millions of citizens,” said M. Antony Selvaraj, chairman of the All India Association of Jurists. “This ban is an insult to the poor and the Dalits,” Rev. Manohar Chandra Prasad, a pastor of the Church of South India (CSI), told World Watch Monitor from Bangalore. Rev. 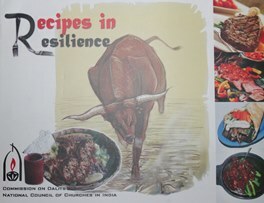 Prasad, who has a doctorate in theology, brought out a booklet, titled ‘Recipes in Resilience – 50 recipes with a beef menu’, in 2010 to protest against a similar ban passed by the legislature of the southern state of Karnataka (the capital of which is Bangalore), then ruled by the BJP. However, the bill was not be implemented, as it did not receive the Federal Presidential assent, and the BJP lost power in the May 2013 state election. 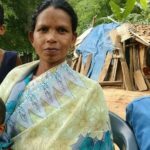 “I am planning to re-launch the booklet to protest [against] the new ban, which affects the Dalits most,” said Prasad. His book had earlier been published by the Dalit Commission of the NCCI and marketed by the Christian Literature Society.